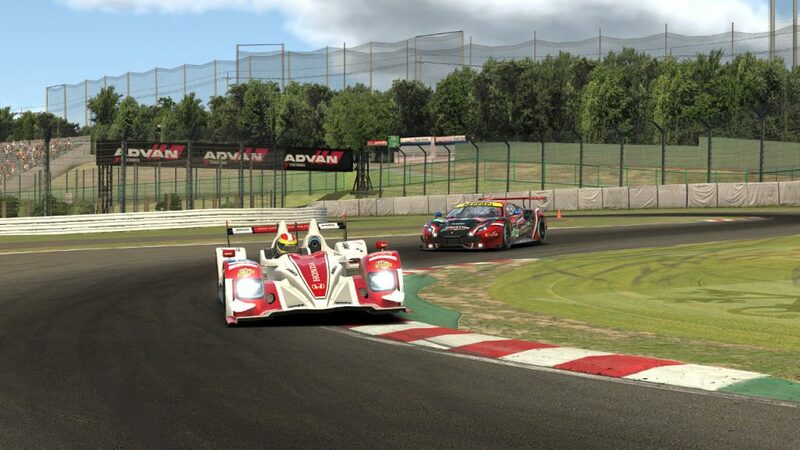 The Land of the Rising Sun is set to host the NEO Endurance Series’ first race at the Suzuka International Racing Circuit, and appropriately enough, the sun will creep higher in the sky from the drop of the green flag. The increasing light levels should also illuminate several unknowns throughout the six hours of competition, including which teams have the track figured out. 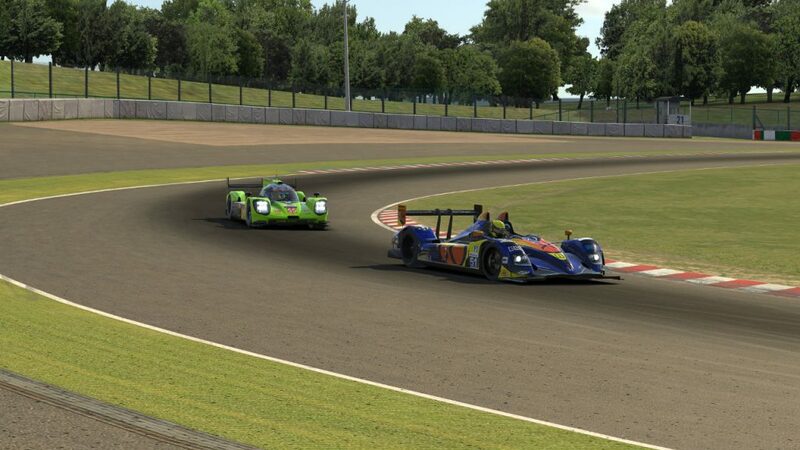 Because it’s NEO’s first trip to Suzuka, we can’t look to the past to see which teams have found success at the circuit, at least in a high-level multiclass league environment. Likewise, the FIA World Endurance Championship does not stop at Suzuka, opting to race at the neighboring Fuji Speedway during its annual trip to Japan, so it’s tough to tell how NEO’s real-world counterparts fare at the track. Instead, we’ll rely on insights from the teams and drivers on the grid this season to help preview this weekend’s race, which kicks off with RaceSpot’s coverage of qualifying this Sunday at 13:50 GMT on the iRacing eSports Network. 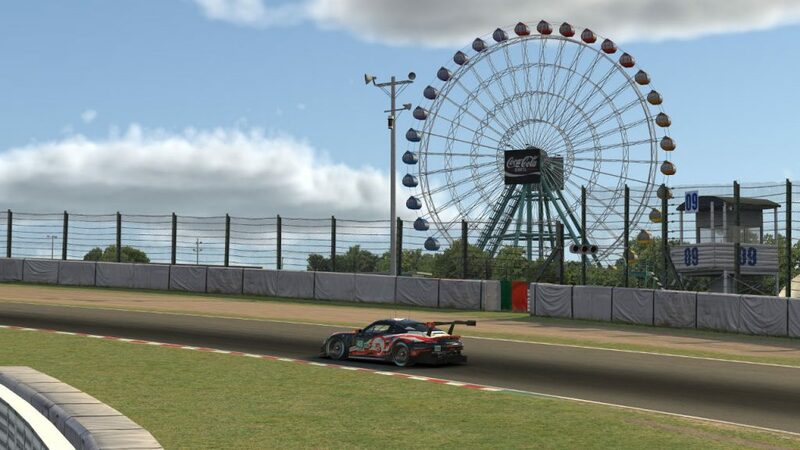 The ferris wheel could provide a good seat for the virtual action on tap at Suzuka. A lap at Suzuka includes nearly every type of corner imaginable, and that’s not by accident. Originally designed as a test track for Honda in the 1960s, Suzuka is intended to put cars — and drivers — through their paces. The 5.8-km figure-eight circuit begins with the quick turn 1. For all three classes, carrying as much speed as possible while getting the car slowed down in time for turn 2 will be important. From there, the track enters the esses — turns 3 through 7. Just like at COTA, passing opportunities may be limited through this section, so faster-class cars may need to exercise some patience when making moves. 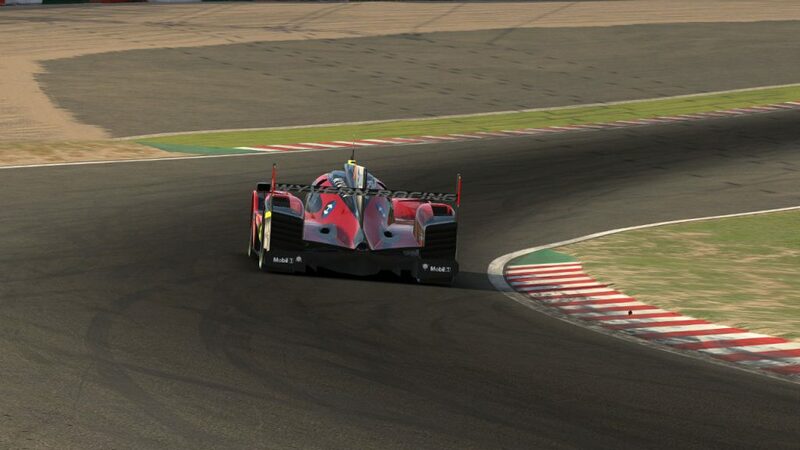 “Not many drivers will have experience with multiclass racing here at Suzuka, so a bit of extra caution may be prudent,” said Marcus Hamilton from the P1 championship-leading Thrustmaster Mivano Racing #3 team. Prototypes may need to be patient behind GT traffic in the esses. The fast left-hander of the Dunlop Curve is next, and it leads into the Degner complex — a pair of deceivingly tricky right-handers where drivers may struggle to keep their cars between the kerbs. However, they’ll want to do exactly that. “The entry of the first Degner has quite a high kerb, so getting through cleanly is a must for the car,” said Rowland. After heading under the crossover bridge, the hairpin awaits. Drivers brave and quick enough exiting Degner may be able to make passes here, although the slight kink on corner entry can be a pressure point when racing side-by-side. The curving run down to the Spoon Curve follows, and it’s another one of Suzuka’s signature corners, as well as one of the most difficult. Ronny Nunez and Danilo Piazza tackle the Spoon Curve in practice. In this round, teams will face a warning after receiving 15 off-track incidents, and a drive-through penalty for every 15 that follow. Expect P1 cars to tap into their hybrid power on the backstretch in order to complete passes before 130R — the high-speed left-hander that prototypes should easily handle flat-out, but where GTs will need to lift as well as take an exact line to avoid running wide on exit. In this weekend’s race, that corner will present an additional challenge, especially for the starting drivers. “The rising sun through 130R is quite blinding,” noted Rowland. Finally, drivers will negotiate the Casio Triangle — a chicane that presents another potential passing opportunity but that’s easy to overdrive, especially in the heat of a battle. Andres Quintana leads Pierre Lisant through the Casio Triangle. All in all, it’s 18 turns of excitement with no two corners driving the same. Despite its difficulty, it’s no secret that Suzuka made this season’s schedule because of the demand from last season’s racers. “Overall it’s an extremely technical circuit, but a wonderful challenge and generally a big driver favorite,” said Hamilton. 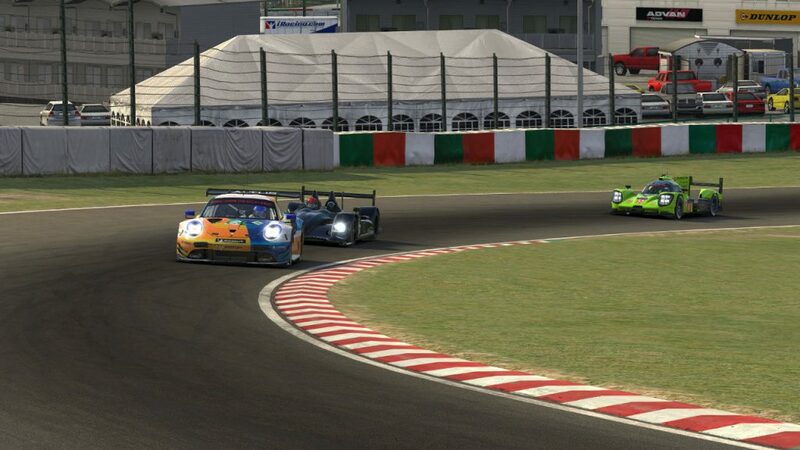 In practice so far, P1 cars have been lapping Suzuka in around 1 minute 39 seconds, compared to the P2 pace of about 1 minute 46 seconds and GT laps in the 1:55s. 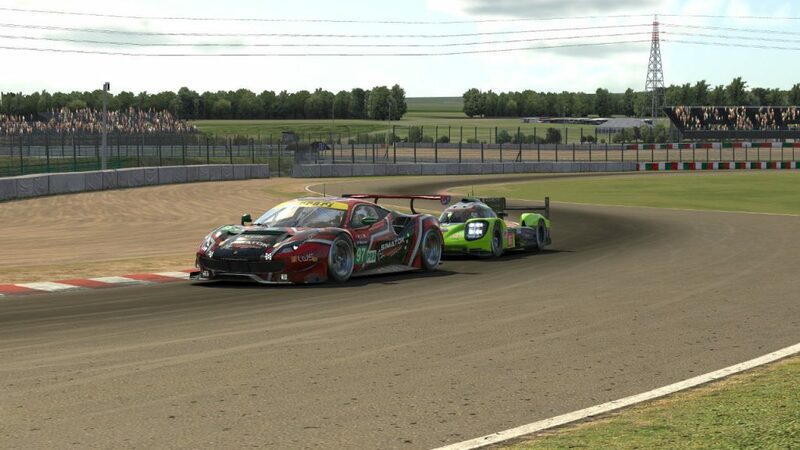 That means P1s should encounter the GT field every 6 to 8 laps and P2s every 14 to 16 laps. GT drivers can expect to see the HPDs passing through about every 12 laps. 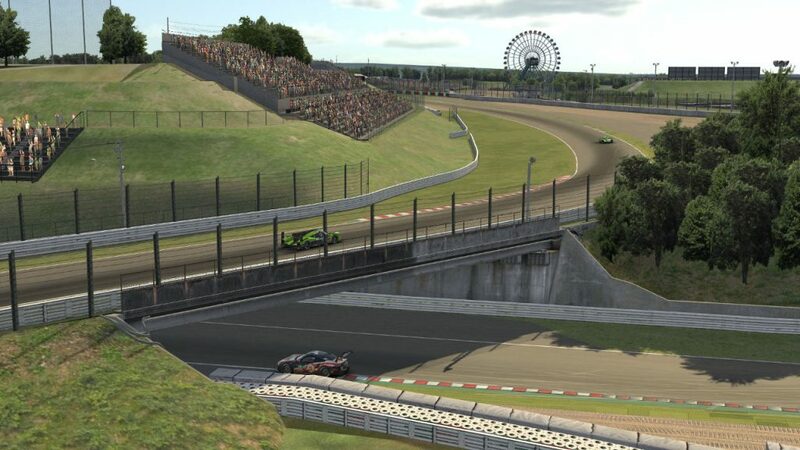 Cars will be crossing over each other all day at the figure-eight Suzuka circuit. Our team representatives unanimously agreed on two main keys this round: traffic management and the changing track temperature. The other P1 teams are well aware of how important effectively navigating traffic has been this season, and they look to Hamilton and his teammates as an example. In particular, Rowland said making smart decisions in the first half of the lap with corners such as turn 1, the esses, and Degner will be key. Multiclass traffic in line through the esses. After an Interlagos race that included some contact between P2s and GTs, HPD teams will look for a cleaner race this time around. GT drivers also know the importance of having a clean, smart race. “Here the surface is not large so very good traffic management could be the difference between a win and a crash,” said Marcenò. Don’t expect much of the knowledge teams gained about changing track conditions at Interlagos to carry over to Suzuka. This race will present quite literally the opposite scenario. Rowland drives his Porsche 919 Hybrid through turn 1 in practice. Unlike Interlagos, which began at 1:30 pm local time and ended near sunset, the Suzuka race will start at 5:55 am and finish around noon. “Sadly, anything we learned at Interlagos will largely be irrelevant here as the conditions and how the race track evolves will be almost completely reversed,” added Hamilton. The potentially wide range of track temperatures from start to finish could have teams in all classes scratching their heads about setup compromises. With a wide range of downforce levels available, P2 teams will be especially concerned about this. 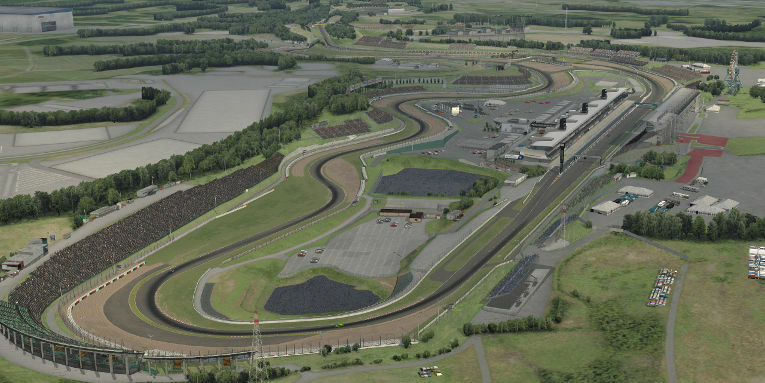 Indeed, with a new track, a new in-game starting time, and plenty of questions about what may happen, this round may favor teams that can adjust the best and the quickest.